From the outside, the renovated Gretsch Building, now the home of luxury condos in the chic, trendy Williamsburg area of Brooklyn, looks like it could be a factory, an office building, or even a hospital. And considering how today’s generation of Gretsch drums (played by artists like Ashton Irwin of 5 Seconds of Summer and Tony Fagenson of Eve 6) can trace their origins and DNA to the seventh floor of this big, gray building, the hospital comparison isn’t too far off. Today’s Williamsburg has been called the “new” Brooklyn and is one of the most popular, hippest places to live and work. It’s no surprise Brooklyn was recently named the #1 city in the nation for Millennials. The revived neighborhood is bustling with creative energy much like it was 100 years ago when factories, foundries, and the nearby waterfront energized Williamsburg and made it one of the largest and busiest industrial areas in the nation. In 1916 my grandfather, Fred Gretsch, Sr., was 36 years old and had a bold vision of growing Gretsch into the largest music manufacturing company in America. (Remember, he was only 15 when he took over the family business after his father died unexpectedly in 1895.) Along with his mother Rosa and brother Walter, he took a leap of faith and oversaw the construction of a large 10-story factory that, at the time, was the biggest building in Williamsburg. You couldn’t miss it when you crossed the Williamsburg Bridge. The factory was a source of pride for my grandfather and I believe the tall building with his family’s name on top motivated him to achieve his dream. Within a few years, Gretsch was recognized as the largest musical instrument manufacturing company in the nation. 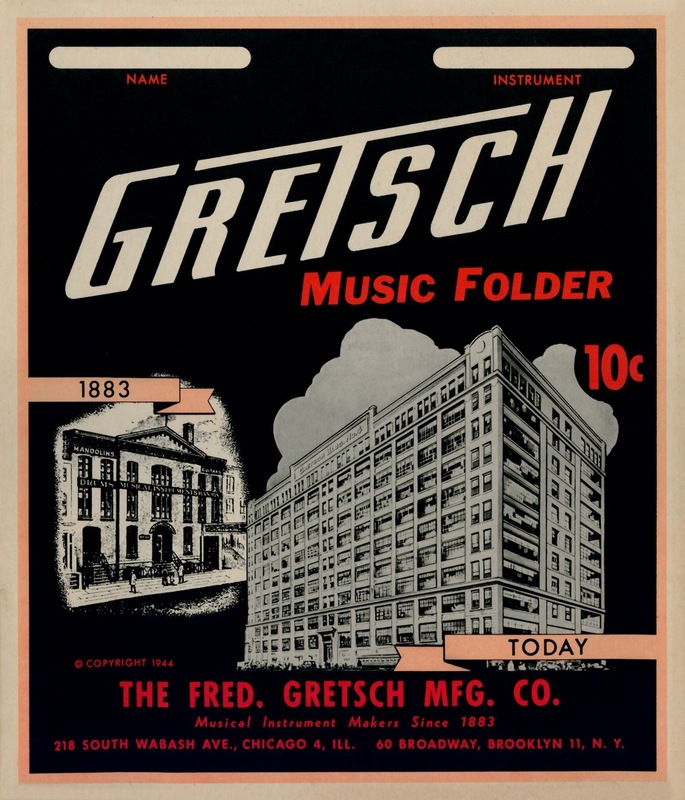 Catalogs from the 1920s and 1930s boast of “Nearly 3,000 Articles To Choose From,” and an image of the Gretsch Building adorned catalog covers and advertising for years. 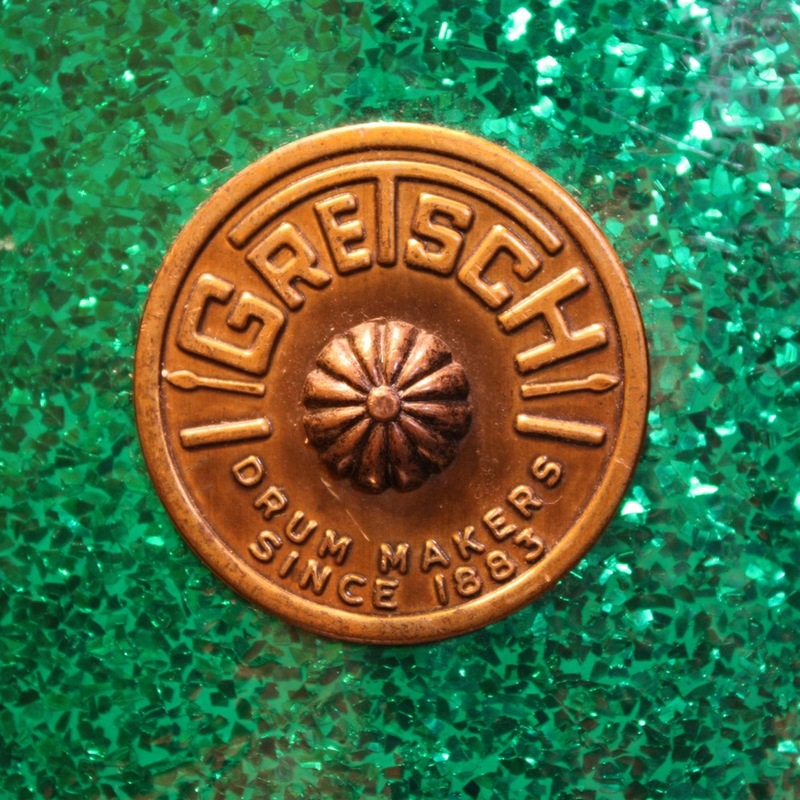 While skilled Gretsch craftsmen built a wide range of drums and stringed instruments at the factory, other instruments were purchased and distributed from major instrument manufacturers. 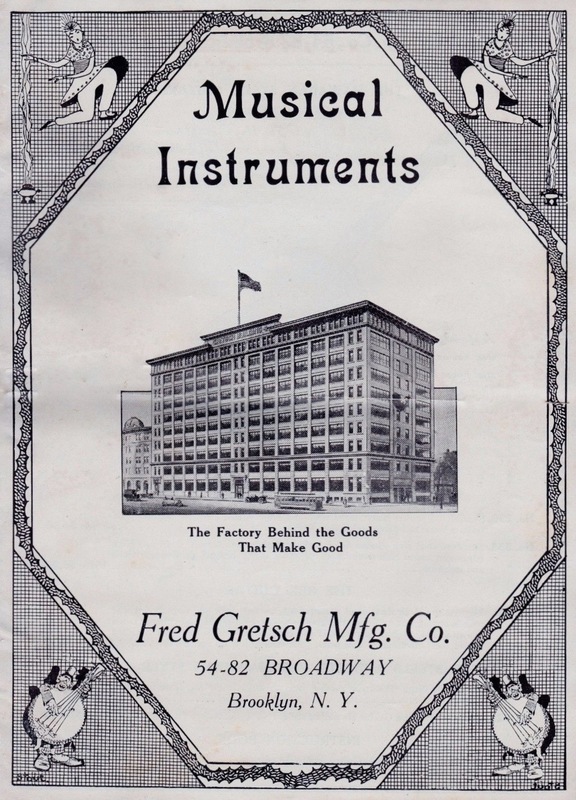 And, since the factory was only a few blocks from the East River waterfront, Gretsch imported many top-quality violins, accordions, brass instruments, harmonicas, and other instruments and accessories from Europe. Even though it was 10-stories high, Gretsch didn’t occupy the entire building. The 20,000 square-foot seventh floor housed the main factory and administrative offices, while the machine shop and plating department took up half of the ninth floor. The basement was used primarily for storing drum hoops, parts and accessories. And while today’s condo residents relax, tan, and enjoy the skyline views from the rooftop terrace, Gretsch used the roof for business purposes: tanning hides for drumheads! My grandfather was an entrepreneur and recognized the importance of real estate in building a solid business enterprise. Like the smaller factory on Fourth Street the Gretsch Building replaced, my grandfather rented valuable office space in the building to a wide range of businesses – from bookbinders and publishers to vacuum cleaner makers. One of the largest tenants was Robert Hall, a national retailer of men’s clothes. I sometimes wonder if the people currently living on what used to be the seventh floor of the Gretsch Building are aware of all the musical history that happened there (and all of the stars and legends that walked those floors when they visited the factory). By far the biggest innovation and game changer for the music industry was my grandfather’s invention of the multi-ply drum lamination process that he patented in the 1920s. This revolutionary new method not only made construction faster, but also made drum shells and hoops lighter, stronger, and more perfectly round. It soon became the drum industry standard for manufacturing drums and – 90 years later – is still used today. Several books have been written about the iconic and historic drums built within the walls of the Brooklyn factory. Some of the most important drums in my opinion are the groundbreaking Gretsch-Gladstone and Gretsch-American drums, the first double-bass drum set built for big-band star Louie Bellson, and the kits we made for drumming legends like Chick Webb, Charlie Watts, Max Roach, Art Blakey, Tony Williams, Mel Lewis, Philly Joe Jones, and Chico Hamilton. I had the fortune of literally growing up in the Gretsch factory during its heyday of the 50s and 60s, and I started there full-time in the Industrial Engineering Department in 1965. But, things changed after my uncle sold Gretsch to the Baldwin Company in 1967. Within a few years, guitar and drum production moved from the Brooklyn factory to Arkansas. The sales office stayed in the building for several years, but by 1972, all Gretsch connections to the historic Brooklyn factory were gone. The building remained mostly empty for several decades as the Williamsburg area experienced a cycle of decline, but by the 1990s, the area bounced back with a new infusion of galleries, clubs, music, art, and young people. Although our family still owned the Gretsch Building, we decided the time was right to sell it in 1999. 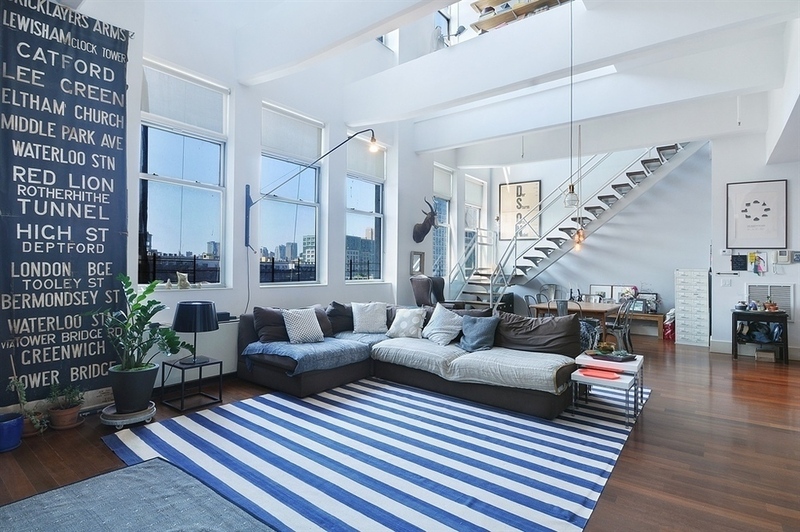 Several years later, the old factory was the first condo conversion in the area, and more have followed in Williamsburg’s transformation and rebirth from an industrial area to a popular, desirable residential area. One hundred years later, I think my grandfather would be amazed at how the neighborhood has changed, and would be proud that the factory he and his family built in 1916 has survived and is still a vital part of the Williamsburg community. He would also be proud that we’re still making world-renowned drums and guitars using the original recipes invented at his factory so many decades ago. 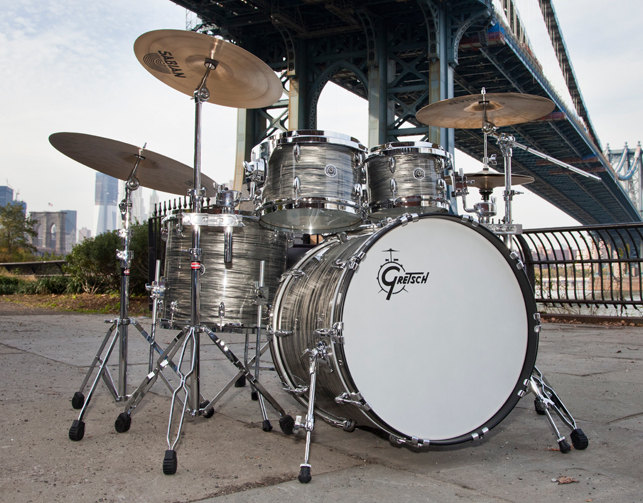 Plus, to honor our Brooklyn legacy, Gretsch introduced its Brooklyn Drum Series in 2012. These special drums are hand-crafted in our USA factory in South Carolina - on some of the same machines originally used in the Brooklyn factory! It’s ironic that the building that made beautiful drums and guitars that looked like a million bucks, now has condos that sell for well over a million bucks. That’s left the Gretsch Building with a brand new pedigree for the next 100 years or more. Caption: The Gretsch Building circa 1916. 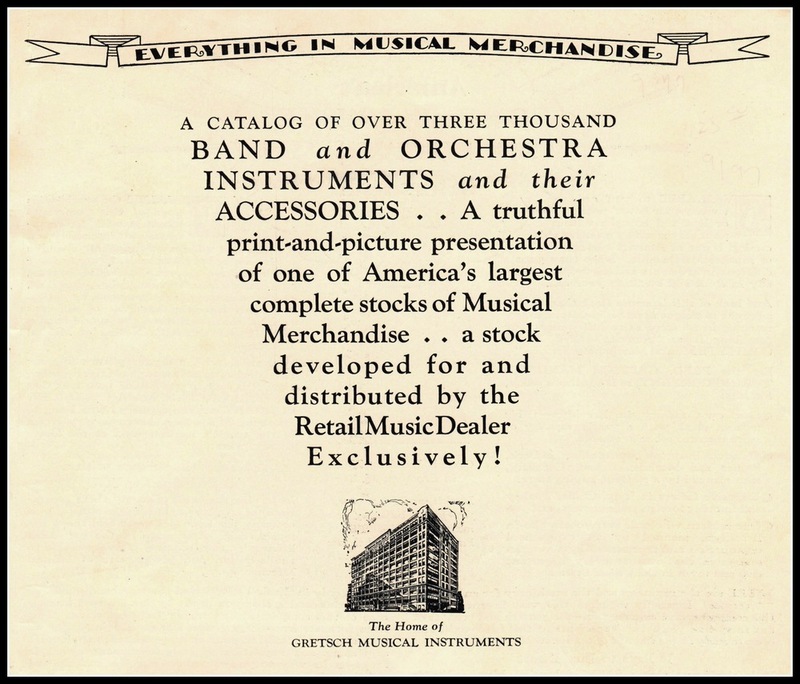 Caption: 1928 Gretsch Dealer Catalog promoting over 3,000 band and orchestra instruments. Caption: 1916 Gretsch catalog cover featuring the new factory. Caption: A student sheet music holder from the 1940s. Image courtesy of Ed Ball. Caption: The renovated Gretsch Building; home to 120 luxury condominiums. Caption: Interior of a multi-million dollar loft apartment in the Gretsch Building. Photo courtesy of Corcoran Group Real Estate. Caption: Gretsch-American Drums from a 1926 dealer catalog. Caption: 1941 Gretsch Drum Catalog page. Caption: 1960s Round Badge drum in Green Sparkle. 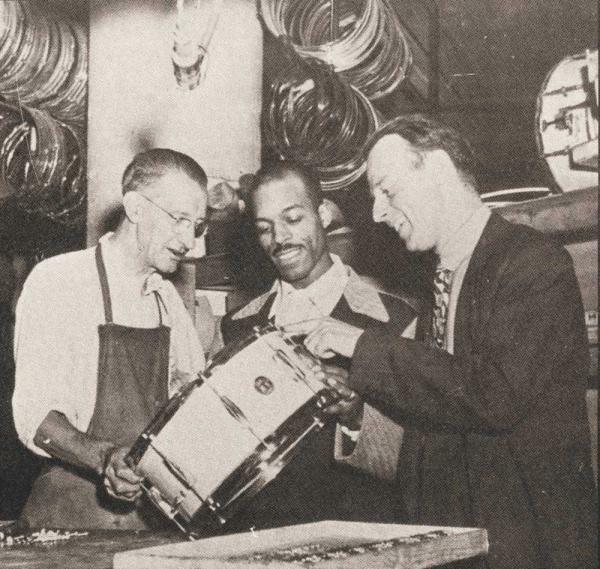 Caption: Jazz drumming legend Jo Jones (center) visiting the Gretsch factory in the early 1950s. Richard Dickson (left) was the factory’s drum supervisor, and Phil Grant (right) was Gretsch’s Drum Manager.